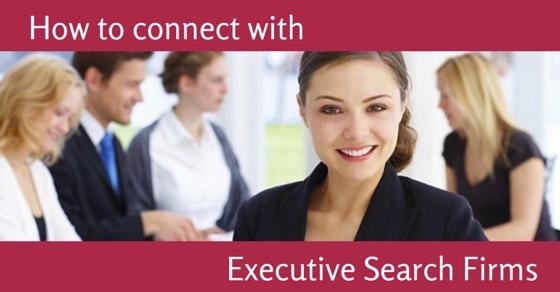 To expand your business or to get hired for a new job level position, you need a special expert – an executive search firm! Executive search firms also referred as ‘recruiters’ or ‘head hunters’, can play a crucial role in your career advancement and management. This is because these firms work to attract, interview and hire mid to senior level employees. A few years back, it was only top companies that used to employ the services of executive job search firms as there is an amount of fee that the job search companies or recruitment companies charge in order to provide entities with the best candidates for their profile. But, presently, even small to mid-size companies willingly takeup services of these experts in order to fruitfully meet their recruiting requirements. If you are a job seeker and you do not want to waste your time and money with a bad hire, then you must instantly connect with an expert executive research firm. But before that, it is vital for you to comprehend different types of executive search firms operating in the market, so that you can meet your requirements optimally. When it comes to filling critical job positions, then most companies opt for services of executive search firms to get best hired at nominal means. So, if you too are searching for such a firm that can aid you fill key positions, then first you need to understand about different kinds available in the market. These are transaction driven firms that are paid only if they are able to deliver a suitable candidate for a firm. They usually charge 20 to 30% of the candidate’s annual package as their fee. It is vital for hiring managers to list down all their requirements to contingency firms so that they are able to secure potential gains for their company. Such firms have a strong relationship with the employer and are hired for a certain time period to find a suitable candidate for that company. With a high paid percentage of 30 to 35% of candidate’s annual compensation, these firms conduct an integrated research program for the company, before the hiring in order to best meet the company’s recruitment requirements. Senior level positions can be best filled through support of retained firms. Container firms have a blended fee structure of that of retained and contingency firms. They work to hire executives for all kinds of positions and are paid 20 to 25% of the candidate’s annual remuneration once they successfully filled the position. Once you have identified an executive search firm, according to your requirement, it is then time that you approach them in a precise manner. If you really want to build a fruitful network with your executive search consultants, then here are some tips or guidelines, which you may follow. There is no need to send a mass email of resume to all consultants you may come across. You may send a personal email to 4 to 6 consultants that specialize in your region, industry and function. Make sure that the introduction of your email is concise and brief. You should be clear of your requirements from the job recruiters. It is vital that your resume is updated and outlined in a format that is widely acceptable. You can frame your resume in Word or PDF format so that each job headhunter or recruiter to whom you have sent it, can view it with ease. Include 4 to 5 bullet points in your resume that highlight about your set of skills, function, region and industry you are searching for and key career achievements that they may be interested in. You must have something to offer the consultant, if you surely want to receive a call back from them. In case you are not a prospective client, then you may act as a source for them. If you are too eager to build relationships with top executive search firms, then you may look for seminars and events that the consultant is attending. You can visit such seminars as an audience and go prepare for a direct introduction. Present yourself as intelligent and knowledgeable person to the recruiter. Make him believe that you have all knowledge about your industry as this will help in developing a strong connection with the recruiter from the first stage itself. Once all these steps are completed, so let’s come to the final step – that you have been selected as a potential candidate by the executive search firm. So what to do in such a situation? Are you prepared well? Have you worked on your elevator pitch? So, here is what you need to do when you have finally landed to such a situation. The most frustrating thing to recruiters is that even employees or job seekers who are keen to have new jobs are not willing to take calls on time. Since, it’s your turn, make sure you inform the right people that you accept calls from recruiters and therefore forward calls accordingly. Finding the nature of the call will support you to carry the remaining conversation. Check out, is the recruiter seriously interested in you or he is just finishing his monthly target. Try to explore maximum possible information about the company, as this way you will be more comfortable of the involvement with their recruiting assignment. You may contact corporate clients, or may contact few candidates that the search firm have placed. This is vital to have better understanding of the search firm’s reputation and authentication. You can also ask them about how the opportunity was presented and the offers given by the firm. Different recruitment firms utilize distinct efficiency metrics to benchmark purposes. Diversity ratio, interview to offer efficiency ratio, days to fill a position, average salary of filled positions is some of them. So, check for the efficiency metric that your preferred recruitment firm is considering. Your chances of receiving a return call will greatly improve if you are able to locate executive search companies or firms with specialization in your industry (manufacturing, healthcare, pharmaceutical), or function (marketing, sales, human resources, finance and more). Whether you are called as a ‘prospect’ or a ‘source’, you have the golden chance of building strong connections with the recruitment firm. If you are called as a source, then the firm is expecting that you may direct them towards a suitable candidate. If you are called as a prospect, then you are a perfect fit to their position. So, give as much information about yourself as well to the recruiter, as possible. May be it will be of no use at present, but might be it may help you in future. Assuming you as the prospect, the recruiter will provide you with full company details, responsibilities and roles of the position. In case, if such answers don’t come to you voluntarily, then feel free to ask them right away. In case, if no proper answer is coming, then ask whether the search assignment is confidential or not. If yes, then avoid asking more of such questions. Before finally ending the call, you must exchange contact details with the recruiters. You may also ask, that whether you need to send copy of your resume to the recruitment consultant. If the recruiter considers you as a potential client, then let him know all modes through which he can contact you. In order to reach to executive recruiters or executive headhunters available to you, it is wise if you frame an introductory message for both online and offline means. Executive recruiting firms appreciate respect for their time, courtesy as well as anything you may do to make their task easier. Most of the times, executives call recruiters when they are in a job crisis or so. It is best to begin contact the executive recruiters long before you may actually need them. This way, you may land a fine job in your account, or you may provide referrals to them thereby making their task easier and bringing yourself in their notice. In case you are not at all interested in the assignment they are offering, then don’t waste time. Ask the recruiter to look for other relevant candidates. This way you will avoid wasting time of the recruiter as well and will earn, respect for yourself. Many times, executives feel stonewalled by executive search firms who are not able to make a return call immediately, or acknowledge their resumes. As an executive, you also need to understand that they are busy professionals who work on numerous assignments under tight time constraint. So, make sure you try understanding their nature of work, and build a powerful connection with the executive search firms so that you can avail benefits in your future.